Oh my. First sack of the entire game, and it will likely give the Eagles' their first Super Bowl title. 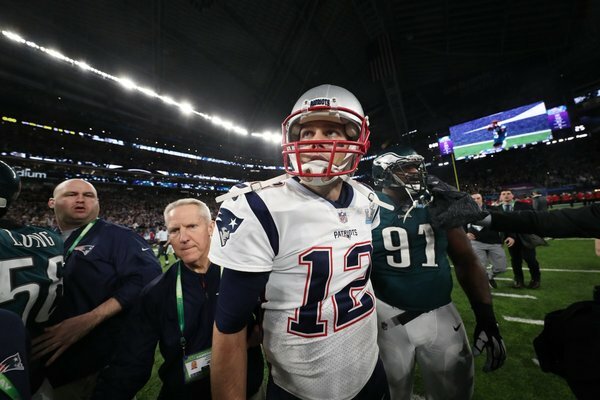 Brady loses the ball and Eagles have it with 2:09 to play. 1:10 left to play in #SBLII !
. @jake_elliott22 's 46-yard FG is GOOOOOOOOD! Jake Elliott's 45-yard field goal is good, making it 41-33 with 1:05 to play. BUT this is still a one-score game. A TD and 2-point conversion tie it. NE has the ball, with no timeouts. Brady's pass to Hogan on 1st down is incomplete. 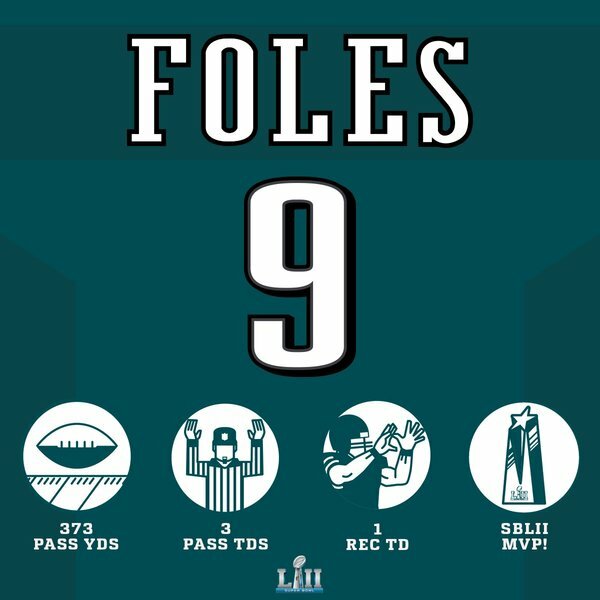 :53 left in #SBLII ! Brady's pass to White on 2nd down is incomplete. :48 left in #SBLII ! Brady's pass on 3rd down = Incomplete. TB12 to Amendola for the 1st down. TB12 finds Gronk for the 1st down. Clock stops with :20 left to play. Another 1st down for Gronk near midfield. 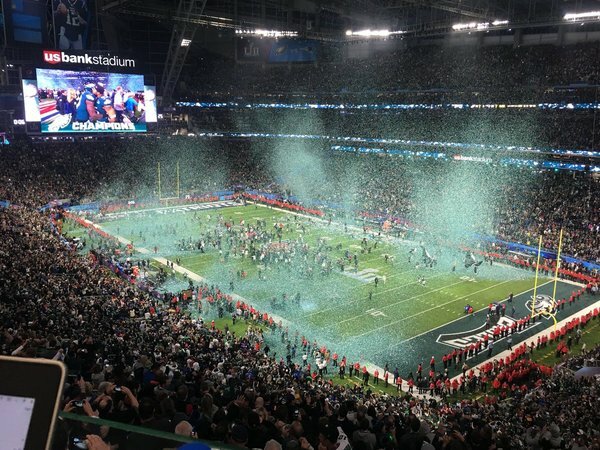 Reminder: Al Michaels wished for triple overtime. 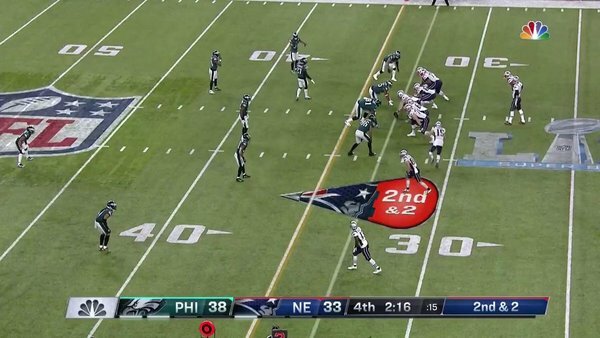 Brady's 1st down pass was incomplete. Incredible ending. 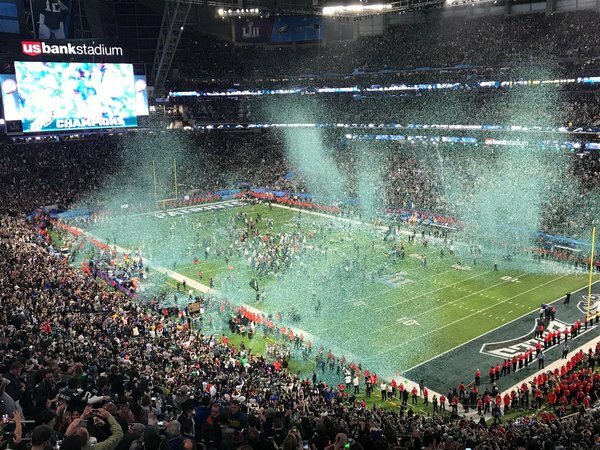 Iggles win their first Super Bowl as Tom Brady's Hail Mary at the buzzer falls incomplete. 41-33 is your final. NFC East is the only division in football where all four teams have a Lombardi Trophy. Fourth of February > Fourth of July in Philadelphia history. 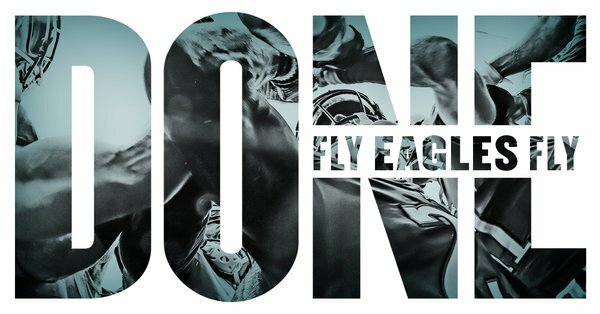 NFL should give Eagles a Lombardi Trophy with a crack in it. An incredible moment for @NFoles_9 and @cj_wentz . ???? Green confetti is falling on @TorreySmithWR ! 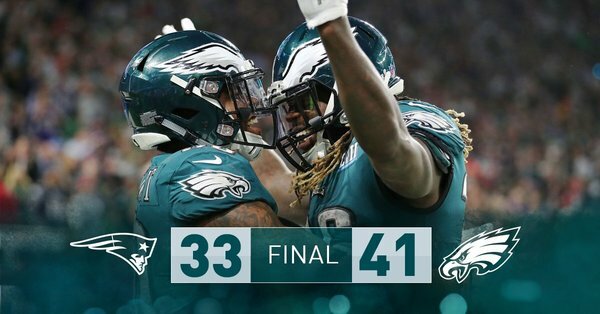 The @Eagles have won the @SuperBowl ! The Philadelphia #Eagles are Super Bowl Champions.
.@JayTrain repping his home country after becoming a @SuperBowl Champion! ????????
. 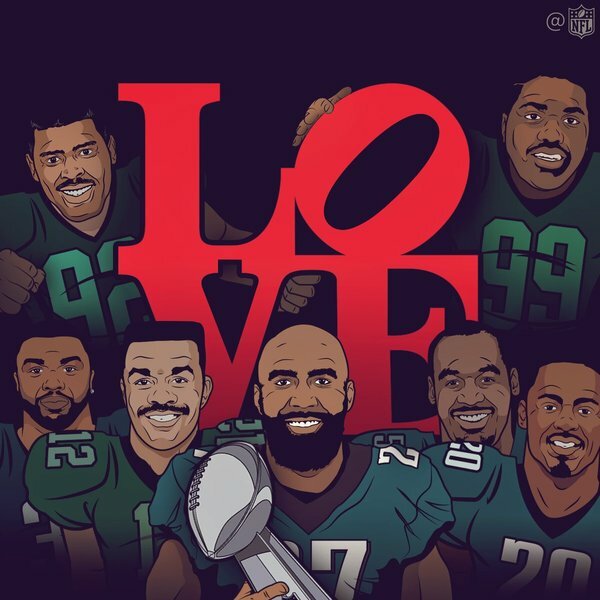 @MychalKendricks , you're a @SuperBowl Champion! ???? My cup is still flashing green. My best friend sent me this video from his apartment in downtown Philly ???? ??? ?